As usual talking about the weather seems to be a hot topic at the moment and at the slightest hint of sunshine we worry about sun tans and the appropriate SPF factor cream – but is that the only health issue to worry about when the summer finally arrives? Warmer weather increases water loss, and dehydration affects us all regardless of age but older people and anyone dependent on others for help in getting fluids especially are at a greater risk from dehydration. This week, 22- 26 June, is Leeds Hydration Week. Richard Porter, Health Improvement Specialist (Older People) and Chair of the Older People Matters Food Group tells us more about keeping properly hydrated. George, aged 70 years, lives independently at home with the help of community support staff who visit him regularly to check that he is well and looked after. After a few visits the staff noticed that George was unusually tired for his normal self and complained of constipation. Concerned the staff decided to look further into what was going on and, after asking George a few, simple questions and looking back over the Leeds Food Consensus guidance they realised that George wasn’t drinking enough during the day. It wasn’t that George couldn’t make himself a drink but just a case of remembering to have one and they had an easy solution. George, and his carers, are now confident that he will remember to keep hydrated. But what is dehydration? It is the simple process of losing more fluids from our bodies than we replace. Recognising these warning signs early can help you and others as well. Just look out for these signs when visiting service users; friends or family members and encouraging them to increase their fluid intake. Keeping properly hydrated is one of 4 key messages within the Leeds Food Consensus. Established in 2010 the Leeds Food Consensus is a pledge to keep older people nutritionally ‘well’ and offers organisations guides for the identification of older people who are nutritionally vulnerable and act on this. 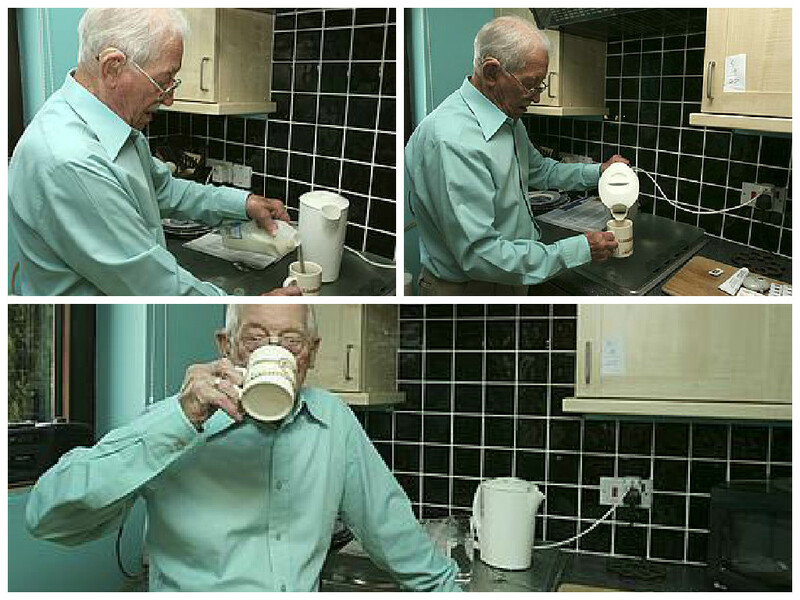 Our research shows that older people weren’t drinking enough fluids on a daily basis to keep hydrated. You can read more about the conference on this ‘Storify’ collecting tweets, news and comments. 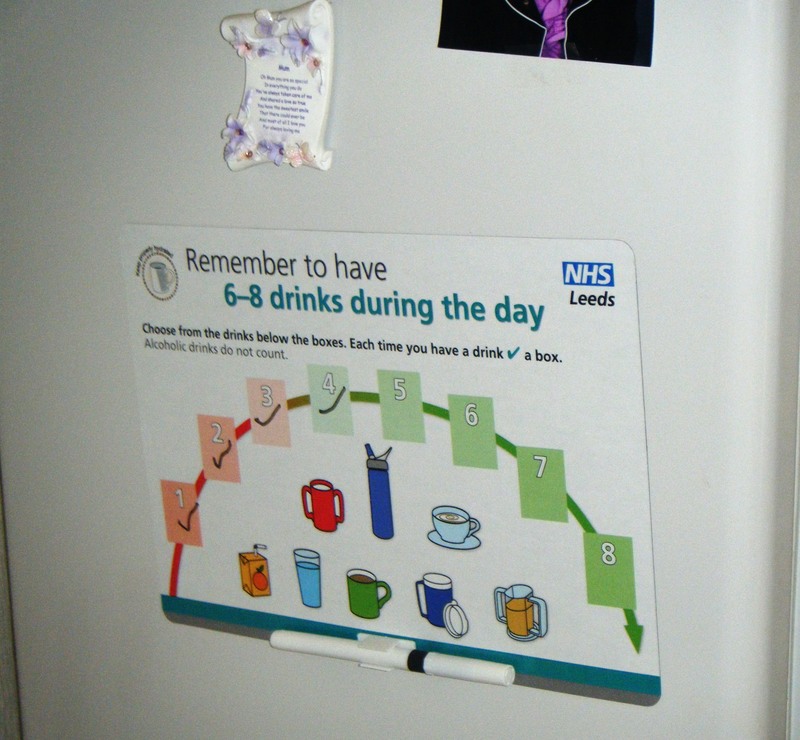 To get memory aids and leaflets about hydration and nutrition or enquire about the fridge magnet get in visit the Public Health Resource Centre Hydration page. This entry was posted in Active ageing, Age Friendly, Carers, Choice, Community Meals, Health and Wellbeing, Independence, Information, Nutrition, older people and tagged Age Friendly, awareness, carers, choice, dignity, health and wellbeing, independent living, Older People. Bookmark the permalink.